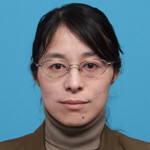 Biography: Dr. Mayumi Suzuki is a professor of Department of Mechanical Systems Engineering in Toyama Prefectural University. She has received her Ph.D in Engineering from Tohoku University. She has been researching about mechanical properties of light-weight materials (aluminum and magnesium alloys), especially, high temperature long-term creep and clarified their deformation behavior and strengthening mechanisms. She has been also interested in development of new high-strength light-weight alloys by using severe plastic deformations and heat-treatments． Goals of her research are to figure out way to design and control microstructures of metallic materials to obtain excellent mechanical properties. Copyright © 2019. ICEIM2019 All rights reserved.